I can't seem to resist old camera gear at times, especially if the price is right. 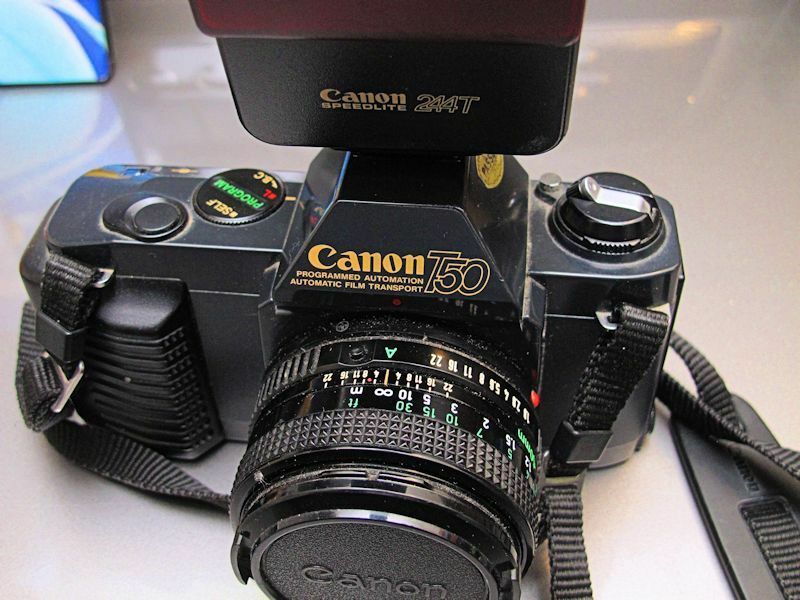 I found a nice Canon T50 at the local Value Village. The price was very right as I only paid 12 dollars for it, and for that price, I figure it would make a nice display piece somewhere. When I got home, I popped a few AA batteries into it and was surprised it all worked nicely. Taking a closer look at the T50, you can tell that someone took very good care of it over the decades. Now the T50 is a very simple film camera, but it did have one cool factor back in the day, and that was a motorized film winder. 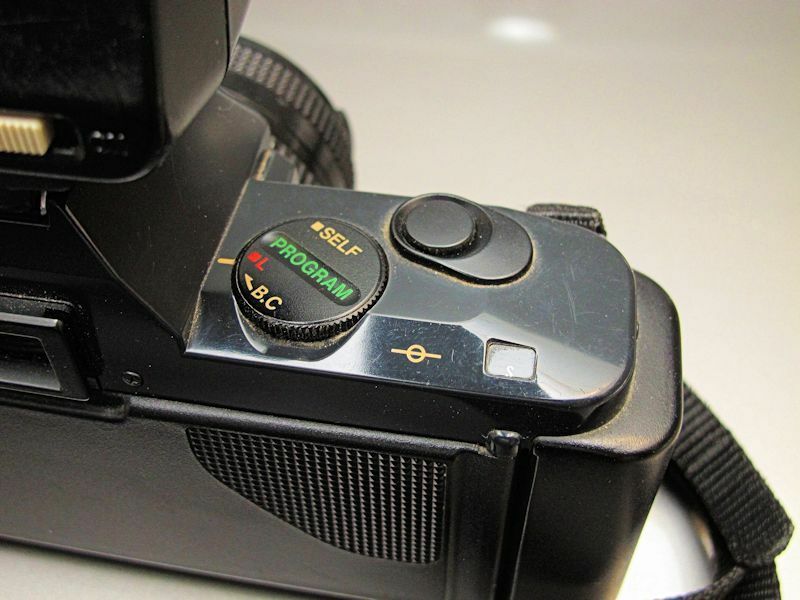 Back in the day, before digials, I had a a few Film cameras, including the T90, with the 300TL flash. I still have them but do not use them. Good advice. I do the same with my small collection. here is the camera with two flashes. I used to work as a photographer many moons ago, and the T-90 was my main camera. The 300TL flash was a wonder, it was always on the camera and I used constantly, you could fire away and the camera would use the flash to fill-in, it was a much better set-up than the full pro F-1. You see today press photographers flashing away even in daylight, the T-90/300TL combination was the first to use a flash in such a way. If I remember correctly, the T90 was affectionately called the Tank. Many years ago, I did buy a used Canon EOS A2e which came out several years after the T90. That one is considered a semi pro camera with one neat trick...you could select the focus point simply by looking at it in the viewfinder. Like the T50, it works perfectly...I just haven't shot film in decades. To be honest, I am not sure I could even buy the stuff locally anymore, or get it processed. They do make nice neat displays however...an homage to times past of sorts. 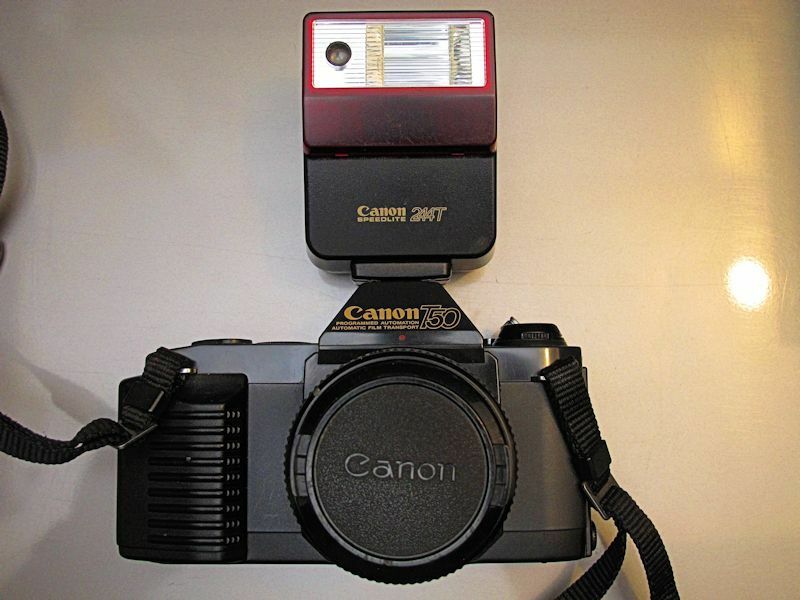 I remember testing an EOS camera like that, it had five small red squares across the middle of the view finder, you looked at one and the camera would focus that area of the view. But as I wear glasses, it would not work properly, the two outer squares not reacting at all. I believed it worked by sending an infa-red beam at your eye. But I think it was an EOS 5. The same camera. Europe...EOS 5...in North America...EOS A2e. There was also the A2 with no eye focus feature. OOooHHhh I see. I did not like the EOS range, if I had gone down the Nikon route, I could of used all my nice lens on the modern cameras. I saw a digital Nikon body for around £50.00 the other day in a Camera shop, an old digital, which would except old Nikon lens. I hear you. I got into Canon when the EOS Digital Rebal came out. Prior to that I was mostly into Pentax. 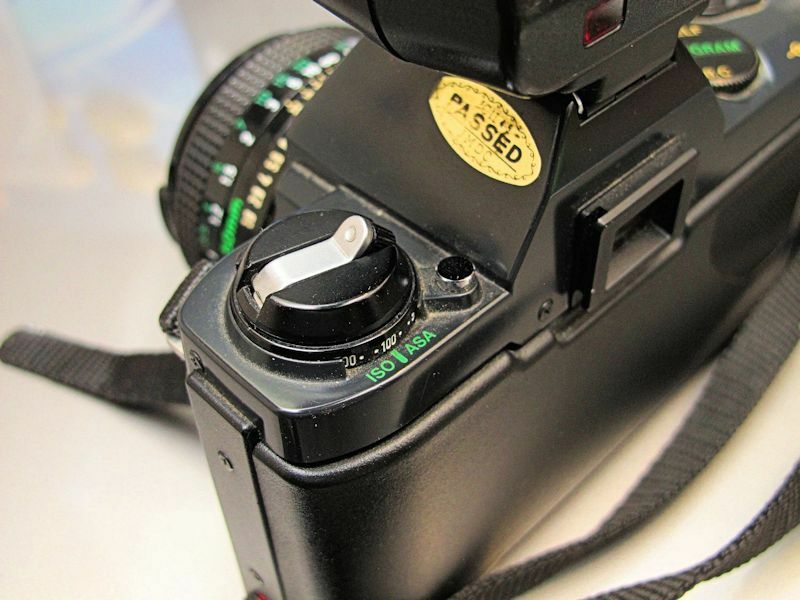 With Pentax...you can get a screw mount adaptor and use lenses older then I am.